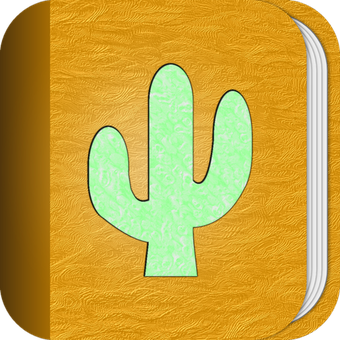 This weekend I completed the icon for my new app, Cactus Album, coming soon to the App Store for iPhone, iPad, and iPod touch. 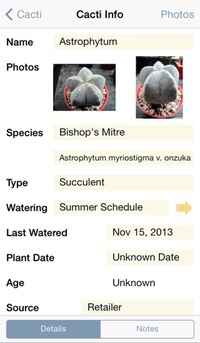 I went for a more realistic approach, in-keeping with the album theme of my other app, Bonsai Album. As far as development goes, I’m working on the last few features including the iPad interface, CSV import / export, and local notifications for watering. The app should be feature-complete sometime this week, with a Beta test to follow shortly thereafter. If you’re interested in participating in the Beta test, or would like to be notified when the app launches, you can sign-up for email announcements via the Cactus Album page. For more information about Cactus Album, see my earlier blog posts, or visit the Cactus Album Facebook page. 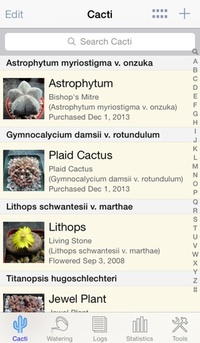 Track your cacti and succulent collection on your iPhone, iPad, or iPod touch – Coming Soon! 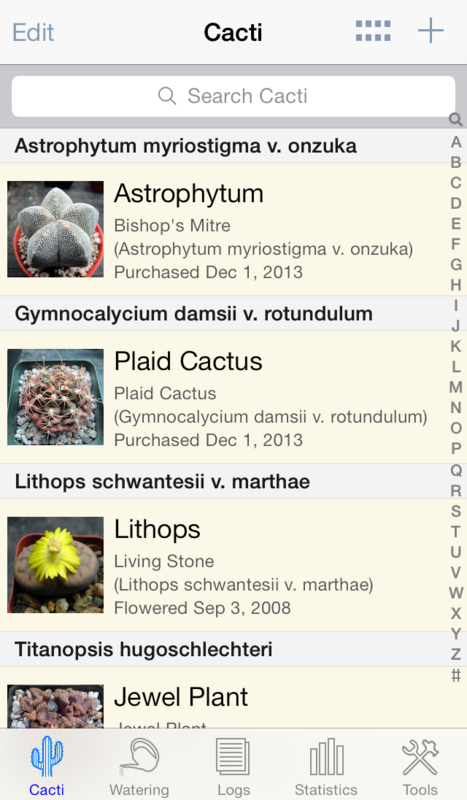 Last year I announced Cactus Album, my forthcoming iOS app for cacti enthusiasts. Development is progressing well, so today I’m posting a few more screenshots from the app. Cactus Album is great for keeping track of the unique requirements and milestones of all your cacti and succulents. Better still, it’s all stored on your iOS device for quick reference and easy record updates. If Cactus Album interests you and you’d like to either participate in the Beta test or be notified when the app launches, head on over to the email sign-up page. 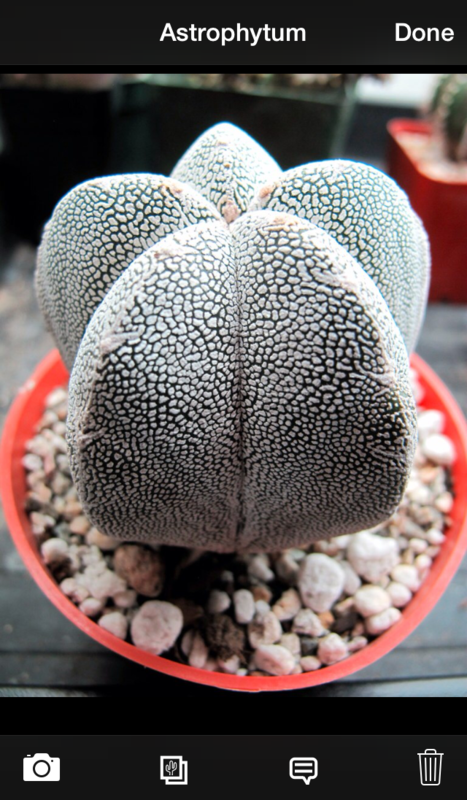 There’s also a Cactus Album Facebook page. If you’ve got any questions, suggestions, or other comments, I’d love to hear them either here or via email: CactusAlbum AT andrewnicolle DOT com.